Even on the topic of death, Laura Ingraham’s support of Donald Trump takes no days off. 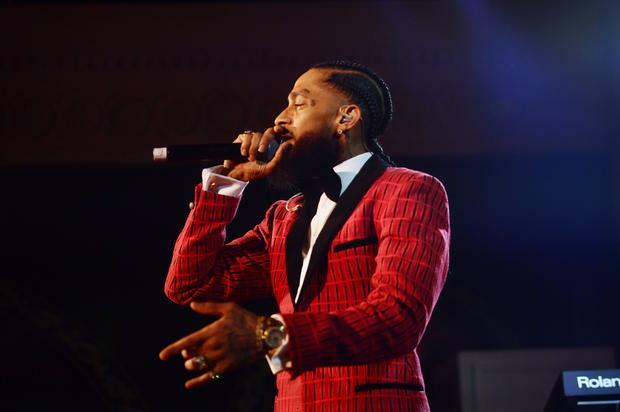 Most recently, the Fox News anchor, seemingly out of fresh ideas, decided to report on Nipsey Hussle’s memorial service which took place on Thursday. Now logic and Ingraham’s opening words would have led us to believe that this would be a brief segment simply acknowledging the event and moving on, but of course, we were duped. “Yesterday in L.A., thousands lined the streets to say goodbye to rapper Nipsey Hussle,” she began, before transitioning into a nonsensical rant. “Now this dear artist recently released a song called ‘FDT’ – F Donald Trump,” she announces before Fox runs a clip of YG, not Nipsey, repeating the now famed chorus of the anti-Trump anthem. Ingraham and her co-host go on to pick apart the line. “Very catchy,” they retort. It is important to note that this segment aired just hours after Nip’s family laid him to rest in a private ceremony on Friday, and considering the plethora of topics on the table, it’s a tasteless act that attempts to degrade Hussle’s legacy. We’d like to think that such an act is, of course, futile considering the outpouring of love and support that has arrived in memory of the artist, philanthropist, and businessman these past two weeks after he was shot and killed in front of his Marathon Clothing store two weeks ago.